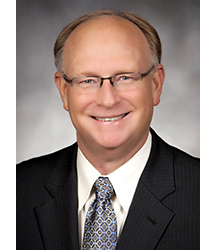 TULSA, Okla. – The WPX Energy (NYSE:WPX) Board of Directors has named Richard E. (Rick) Muncrief as the company’s next president and chief executive officer. The appointment is effective May 15, 2014. He also will join the WPX board following the company’s annual meeting of shareholders on May 22. Muncrief, 55, is a petroleum engineer who has more than 30 years of upstream and midstream energy experience, most recently as senior vice president of operations and resource development at Continental Resources (NYSE:CLR) where he oversaw corporate engineering, reservoir development, drilling, production operations and supply chain management. During his tenure with Continental – where he worked since June 2009 until his appointment at WPX – Muncrief helped Continental increase reserves, production and share price by more than four-fold while lowering production expense by more than 15 percent. “Rick has an accomplished record of sizing things up and driving plans that produce exceptional results, profitable growth and lower costs,” said WPX Chairman William G. Lowrie. “He has prior experience in our growth areas, particularly the Williston and San Juan basins, and is ready to hit the ground running. “Our board believes that Rick is going to connect very well with investors and employees alike as he charts a strategic course for WPX. His technical acumen, driven nature, operations experience and character are a great fit for shaping the future of the company,” Lowrie added. Muncrief has worked in organizations of differing size ranging from independents to a large super-major, notably 27 years with ConocoPhillips, Burlington Resources and their predecessor companies in various technical and leadership capacities. He received a Bachelor of Science degree in petroleum engineering technology from Oklahoma State University in 1980. Muncrief is a native of southern Oklahoma and has spent the majority of his career in the Rocky Mountain region. “There’s an innovative spirit at WPX,” Muncrief says. “I expect WPX to succeed, and I’m eager to become part of the company. We have much to leverage from WPX’s assets and the contributions of those who helped forge the company into a leading independent producer. James J. Bender, who has been serving as WPX president, CEO and board member on an interim basis since December 2013, plans to retire upon completing the transition of his duties to Muncrief. Bender previously was the general counsel and a senior vice president at WPX following its spinoff from Williams in early 2012. WPX retained the recruiting firm of Spencer Stuart to assist the company in its search process for a new chief executive officer. WPX Energy is an independent exploration and production company formed during a spinoff two years ago. Overall, WPX has more than 30 years of experience in its sector along with 40 local, state and federal awards for efficiency, innovation and corporate social responsibility.